Trapani is city on the border of two seas: Mediterranean and Tyrrhenian Sea. And such a location foredooms the city’s function and business. The port of Trapani was founded many centuries ago as a linking bridge between Erice and the traders passing this area on their ships. I compiled the list of things to do and to see in Trapani. 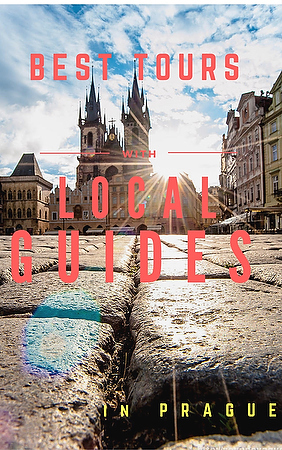 As the base of this bucket list serve my travel experience and advice from local friends. To get the best choice of sea food on the fish market of Trapani, you have to wake up really early. The market starts at 6 a.m. and until the last shrimp sold. But, the later you come, the less you get. Fishermen bring the yield to the port and sell it from the boats and under the shed. The weather in Trapani is quite warm all year round. Even in December the temperature reaches 16-18 degrees Celsius. In such conditions fish and sea food can’t be kept for too long. That is why the fish market in Trapani is so ealy. In summer, when the Sun burns till 36-40 degrees, market ends by 8-9 a.m. In the market you can find: shrimps, sea-urchins, mussels, octopus, flounder, moray ell, sword and other sea food. The prices swing from 6-8 Euros for kilo to 15-20. It all depends on kind of seafood you need, amount and of course on you communication skills. 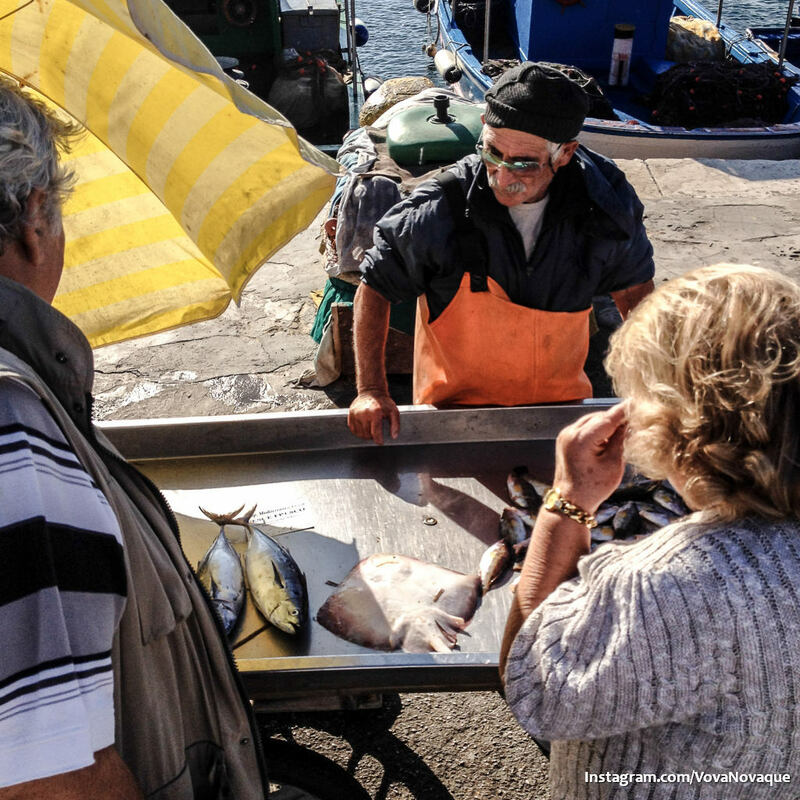 Include a visit to the fish market in Trapani into your bucket list. 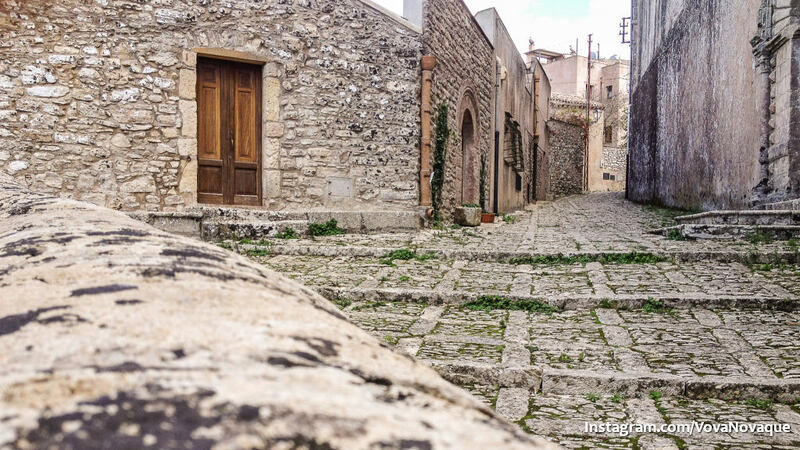 Erice is another destination out of top 5 places to visit in Trapani. It is fantastic ancient town located just in 20 minutes drive from Trapani. I recommend renting a car for a day trip to the top of the mountain. There is also a funicular. Buy a ticket and go to the very top (about 750 meters over the sea level) in order to discover a very cosy and tiny town with its own character and ambiance. 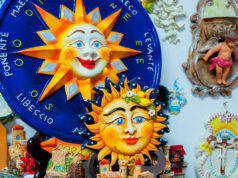 Things to do in Erice: walk along the streets, drop into locals shops to buy souvenirs, eat well. You absolutely can’t leave the mountain without checking the Pasticceria Maria Grammatiico. 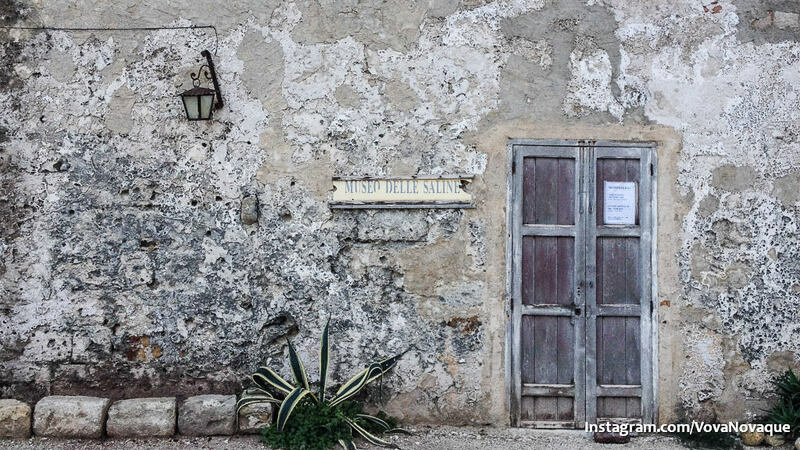 This is one of the most popular cafes in Erice. The place has a rich history. Even today in the Pasticceria they use only local ingredients and bake according original recipes to perform the art of sweet and delicious. Any time of the day you come to the cafe. 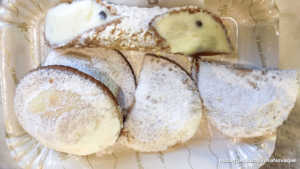 You are sure to get fresh typically Sicilian goodies. No need to say that you need to charge your camera well before going for a day trip from Trapani to Erice. The view and panorama you will see, are just incredible. There are a lot of benches at the edge of the rock where you can solemnly sit and enjoy the float of clouds. Flying from Rome to Trapani I saw two island. It occurred that one them is a dream destination for many travelers like me. 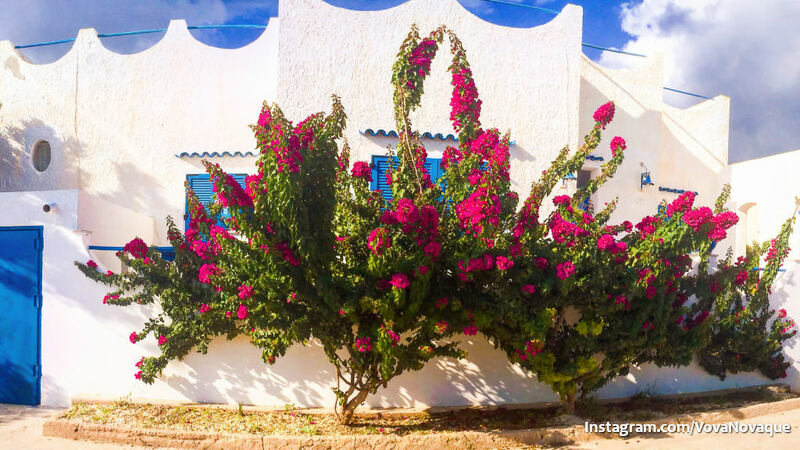 Favignana has a long and quite dramatic history coming back to Greek times. A short review is given in wiki. Today the island is quite peaceful and calm. Total population is less than 5000 people. Locals are involved into fishing and touristic business. The size of the island: 5 hours is enough to cycle Favignana’s most attractive places. 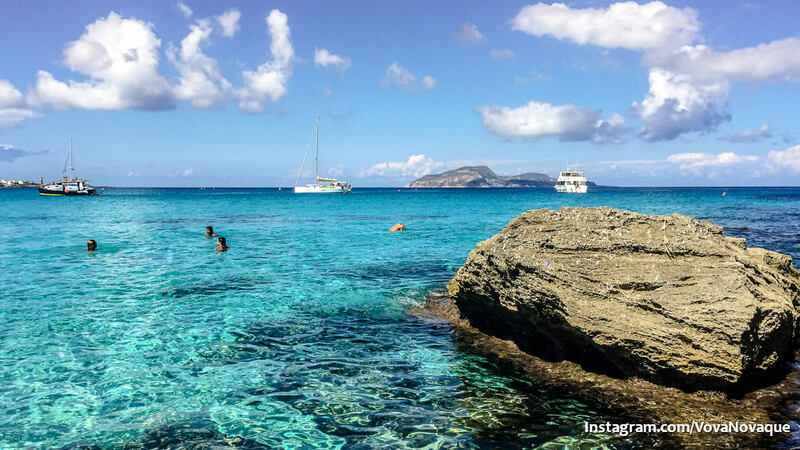 My number one in Favignana is Cala Rosa — lagoon. It seizes your eyes and doesn’t let them look at anything else but at the water. 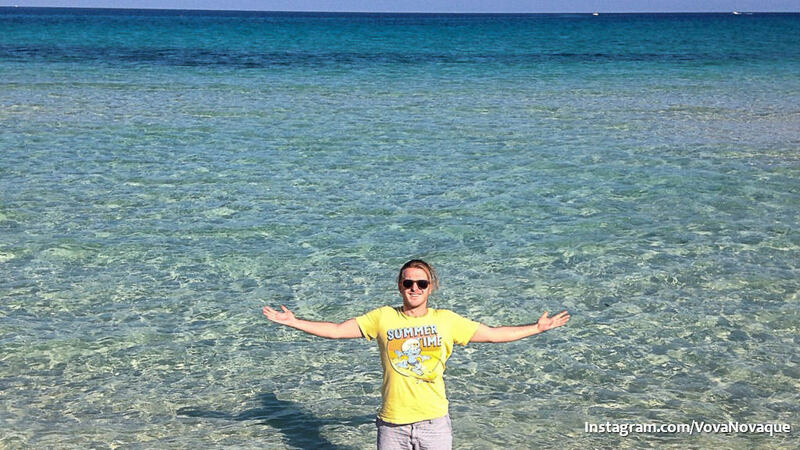 I was fascinated and shocked with transparent sea water. But for Cala Rosa, there are several other places where to swim and sun-bath. 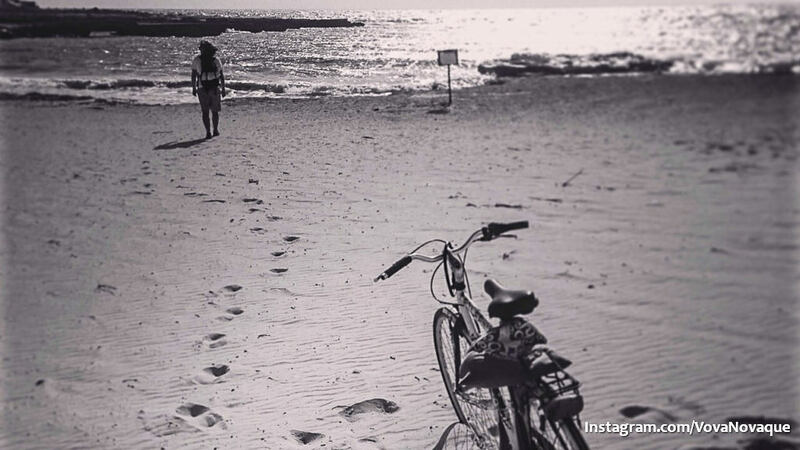 Take a map when renting your bike and follow the touristic route. I would also recommend taking enough water and some sandwiches with you to Favignana. On the island you can also find a well-known museum of tuna. It has a huge exhibition telling the story of fishing and cooking tuna. You will see the biggest fish caught, learn the most dramatic adventures and discover the most delicious dishes. 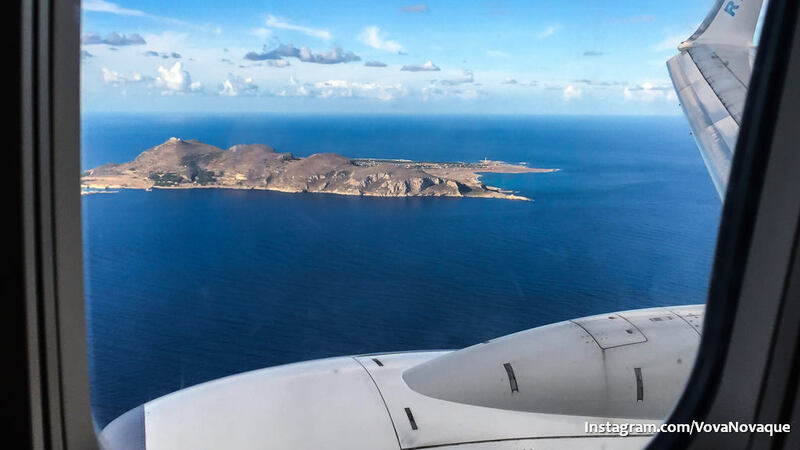 How to get to Favignana? 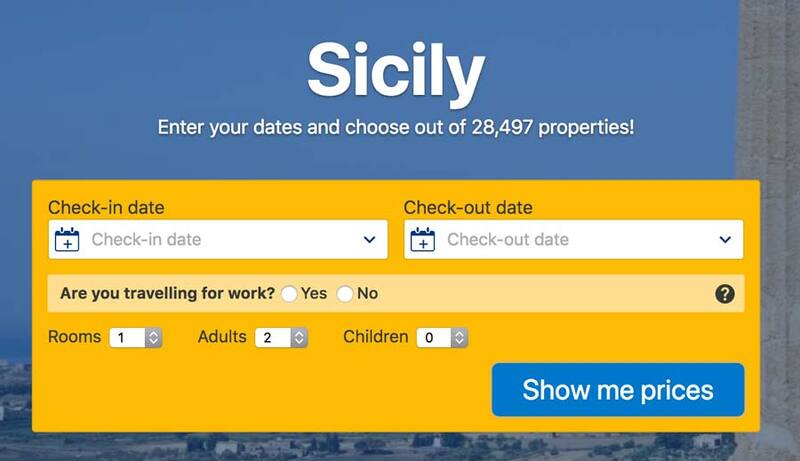 How to get to Favignana and what to do? A ship from Trapani to Favignan goes every hour. The price is about 10 Euros for oneway ticket. In high season you need to buy return ticket for certain time. Therefore it is better to start the one day trip around 8-9 in the morning (one way is about 40 minutes). Thus you come back to port of Trapani about 6-7 p.m. But in case you would like to spent more time on the island there are several hotels in Favignana. There are also some good traditional Sicilian restaurant. 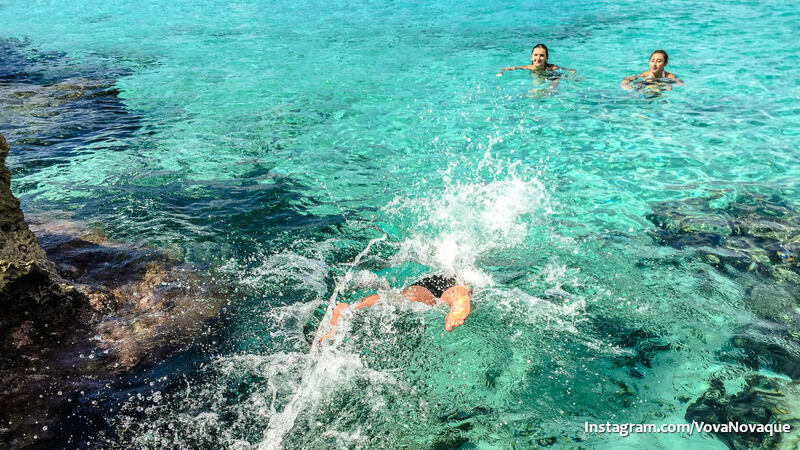 Sea brings not only joy and relax to locals. It also provides them jobs. Some people make business on fishing, others on ancient trade: sea salt production. I visited salt museum in the village not far from Trapani. It is called Saline Grande. 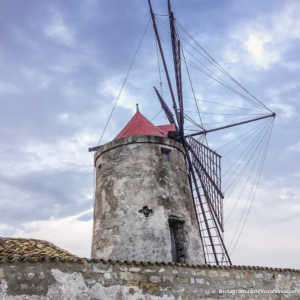 The landscape of the area takes you back to middle ages with first windmills around. The pans surrounding the museum show how much power and work it should have been invested to produce enough salt. Of course today modern machinery and equipment helps the workers and they don’t have to dig themselves. But the procedure of how to take salt from sea hasn’t bee changed for centuries. During the day Trapani is not really attractive. The architecture can’t be compared with what you can see in Prague for example. The shops and restaurant are mostly. But the situation changes in the evening when locals leave their houses. Tourists return from day trips and everyone goes to the historical city centre of Trapani. What attracted me personally was the beauty of local people. They are stylish and passionate in every single gesture and move. Though Trapani is not as big and popular among tourists as it was before, though they say Sicily being a part of Italy experiences hard times, I saw very happy people celebrating every day of life with smiles, kisses (when people salute or farewell each other) and noisy talks. 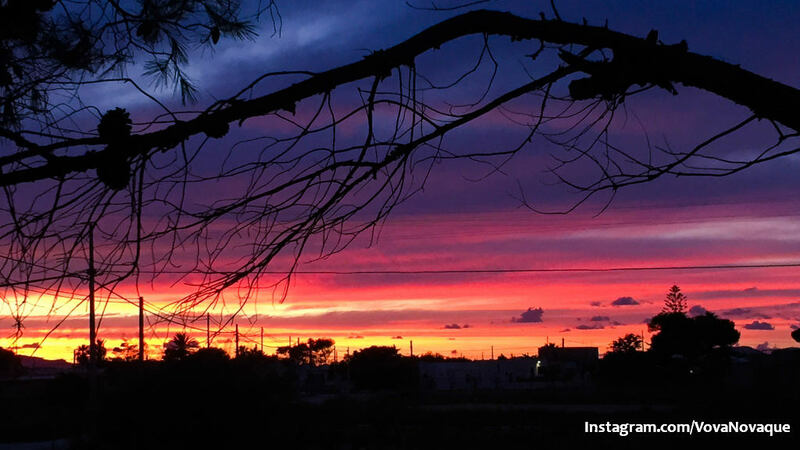 I hope when you go to the West of Sicily, you will following my top 5 places to see in Trapani. In case you plan a trip to Sicily, feel free to drop us an email to mail@vovanovaque.com to get a detailed travel pan.